After a dark and stormy night, our power is out at home. Which means I'm stealing a brief moment of someone else's power to write a blog post to say there will be no blog post today. 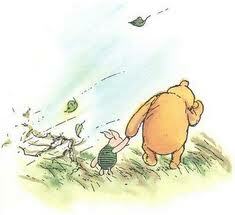 See you on Windsday, as the silly old bear would say!